nuunutrition has no other items for sale. 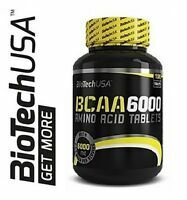 BIOTECH USA BCAA 6000 - 2:1:1 Ratio Isoleucine, Leucine and Valine Amino Acid ! There are 5,413 items available. Please enter a number less than or equal to 5,413. Arrived fast and well packaged. Thank you! Top seller! Hello, I have not received the vitamin D3. But I received the Zinc. why? Good service, description need clearer notice it contains animal products. Got wks ago&been ok. Took usual dose today and whole bottle stinks of fish! Why? Arrivo con ritardo rispetto alla data prevista, ma per tutto ok. Consiglio! Good quality and quantity for the price. This is the second one I have bought and been taking them for over nine months. Small easy to swallow and tasteless. Recommended. I bought these last year to aid my recovery from a broken leg. I suppose you could argue with such things that you may not really prove whether they work or not but I bought them on the advisement of my surgeon and friend. I have taken them daily since the accident and both my wife and I have been illness-free since, Vitamin D contributing to our all-round health as well. These come in a small bottle in nice small, easily swallowable gell capsules. They look the part and work too. 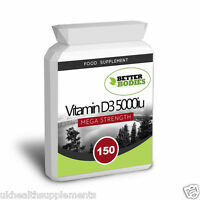 These are superb quality, high strength Vitamin D3 tablets. Excellent value at 1 tablet a day for a full year! 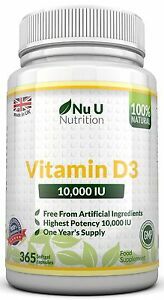 Most people in Northern Europe are deficient in D3, especially in the winter. Take one a day & within 2 weeks feel the benefits. It’s called the Sunshine/Happy Vitamin for that reason. Experience a natural mood enhancer. The tricky thing about vitamins is that you need to trust the source. You cant tell their effect unless you have a blood test or recover from a deficiency. 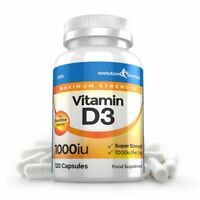 Vitamine D 's deficiency causes stiff joints and muscle pains. So when that pain goes away you know the pills ur taking work. Byt this takes about 2-3 months depending on the deficiency level. There a lot of cheaper products, possibly for half the price. But i know this one works and would rather pay the extra bit. At the end of the day uts a year's supply for just over a 1£ a month. Great delivery time and customer service.. Highly recommended..